The complementing products available along with Lotus Notes include Sametime instant messaging, IBM WebSphere Portal, Tivoli Directory Integrator, Websphere Application Server etc. Therefore, the wide range of features available with Lotus Notes makes it look user-unfriendly, leading the employees to be less efficient at work. Since the requirement is simply email client, Outlook seems to be far superior in mail handling, setup and overall is easy to use. Using Outlook you can drag mails and tasks straight into the calendar (converting to an appointment). Simply add Notes and activate a tracking journal; you can open and compare calendars of groups and automate the revision of a document making it far more user-friendly. Additionally, Lotus Notes chews more space on system when compared to MS Outlook. Unable to multi-task – When you try sorting a view in .NSF file with 100000 documents and read the mail while the sort finished, it can actually become impossible as it cannot be done. Lotus Notes email – Quite basic as compared to other free web-based offering available. Lotus Notes Calendar issues – Doesn’t seem to be competent enough and remember not to delete the calendar document or response document as everything will disappear. Don’t forget to create your meeting response folder as when you do not accept a meeting invite, it never shows up in the calendar view. So, if you receive 100 emails a day, you can’t miss one or you will miss the meeting etc. So, as we have discussed reasons for the migration of IBM Notes data to Outlook, now we can discuss the methods of migration. The manual way for migration does not ensure complete data migration and is a bit complex. We recommend a professional third-party software, Kernel Notes to Outlook, for convenient migration. The tool has simple GUI and attractive features that simplify the task of migration. Let us perform the migration from Notes to Outlook with Kernel for Lotus Notes to Outlook with the given steps. Download the tool from the website, install it and start the application. Click Add Local NSF File(s). Browse the NSF file from the system location and click Open to add it. The NSF file will get added. Select the file and click the Preview option. Click on the mailbox folders to view their items and then select the item to view its Preview. Click Migrate to continue. 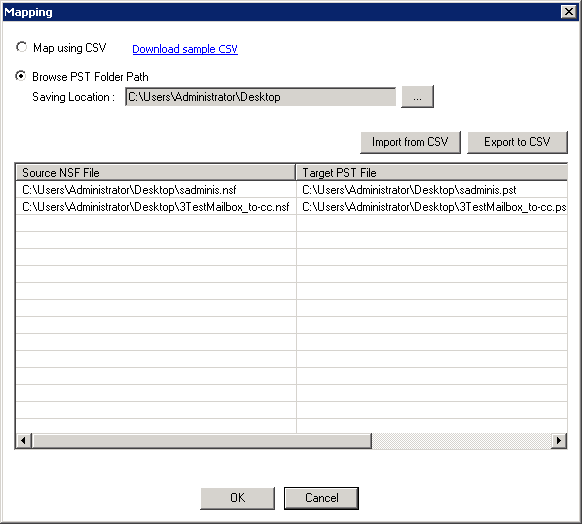 Select Outlook PST as saving option and click OK. Provide the destination for saving the NSF file data. 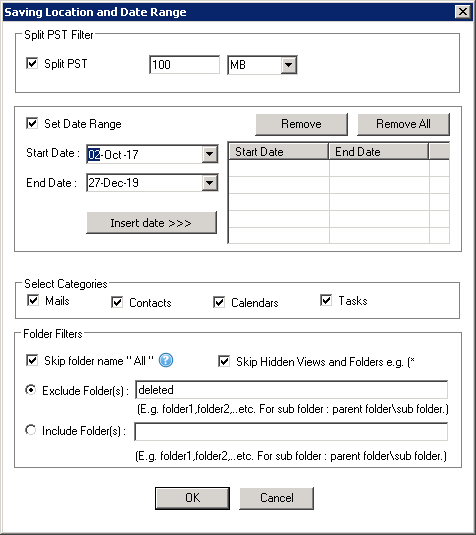 Apply filters as per requirements and click OK.
A confirmation message to close all instances of Outlook appears, click OK to continue further. Select the saving mode, choose the option to mark messages as read or unread and click OK. The migration will start and finishes in minimum time. It shows destination on completion of the migration. So, a hassle-free migration from Notes to Outlook application is just done with Kernel for Lotus Notes to Outlook. Owing to its database driven structure, Lotus Notes surely enjoys an advantage over other conventional email clients. Still, there are numerous organizations that feel like migrating from Lotus Notes to Outlook (NSF to PST). Through this article, we tried to throw light on some of the basic reasons why user feel Outlook is a better choice over Lotus Notes. A smart and advanced solution Kernel for Lotus Notes to Outlook is suggested for quick migration from Notes to Outlook.